Are you a parent or a student? Whoever you are, You have an interest in common, interest being the bright side of using mobile apps. How can you improve the method of learning? How can you optimize your interaction with technology? I have one answer to all those questions- Educational apps. For long, our education industry is trying to connect with learners in their style. 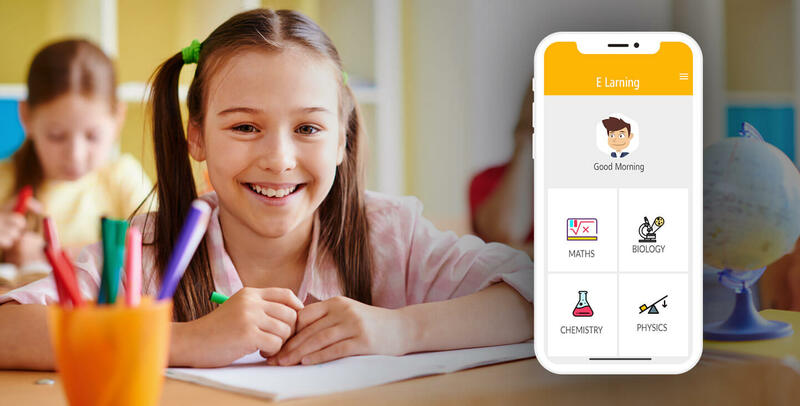 In order to keep up with the technology development and somehow bend it in their court paved the way for educational apps like Duolingo, Khan Academy and more. E-learning is a breath of fresh air in the education system. Duolingo is a language learning app with 100 million downloads, which itself is the testament to the change of course. If this is not enough for you, read on to learn how beneficial mobile apps are in the education industry. Learning is not meant to be limited. You should be able to access as much information as there is. With educational apps, the resources are published online with subjects varying from botanical science to the history of Hungarian renaissance and is made available to you. In schools, it is not possible for teachers to properly guide every student. Learning on app of your subject helps to eliminate the communication gap between students and teacher. Duolingo has incorporated a different interactive method of learning one of which are chatbots if you have a doubt you can instantly type in the query and they will assist you. Even then if you are not satisfied, you can ask for call assistance and they will set you up on a call with the available teacher. We all are well aware of how our doings are affecting the environment every day. Millions of trees are cut every day, just to meet with the demands of papers. Shifting to digital learning will contribute our bit to the environment by reducing the use of paper. You can replace books with e-books, notes with white papers. This is the game changer. With the advent of educational apps, learning has been made so convenient. You no longer have to carry books everywhere you go. You can learn simply by going online and all the reading material is at your disposal no matter where you are. Believe me, I have been a student and I know sometimes we just don’t want to study. Either your coveted show is coming on tv or you are just not in the mood. If you are learning on an app, you have an advantage- your app is with you all the time. Your studying is no more time specific. So now you can study even at midnight with the assistance of your online teacher. You must have been hearing a phrase since you were little- ‘Don’t work hard. Work smart’. Well, smart learning is better if you don’t want to just study for your exams. Many popular apps like Duolingo prepare you not only for exams but for daily interactions as well. They have topics lined in such a systematic way that you go on without the need to go back and tap on the next topic. Many apps support online payment system, which makes the whole payment process easier. Sitting in your couch, you can pay to your teacher. Other than ease in payment, they also maintain an attendance sheet. So you know how many classes have been missed. I think e-learning can provide a new and better experience for learners. With digital spectrum widening and attracting new industry as well as consumers of those industries, many entrepreneurs are entering the education sector. If you are one of them, I would suggest you invest highly and wisely in your app. From choosing an app development company to marketing your app, plan everything in great details. In 2019, the number of mobile users is forecasted to go as high as 4.68 billion worldwide. Which means 67 percent of the population will have access to mobile phones. Taking E-learning to further heights where you and I can learn from anyone even 1000 miles away. Learning is refreshing and it should not be bounded by age. Even if you are 40 and you want to learn something, just download a learning app. Happy learning to you all!